Looking for a plumber in Tauranga to attend to your maintenance and repair issues? Kingfisher Plumbing Tauranga are experts at blocked drains. As is so often the case, especially in Tauranga, the main cause of sewer backups is the invasive nature of tree roots. Tree roots will encroach on and penetrate seemingly impervious soil as well as sewer pipes. Typically, tree roots form an intrusive root ball that block the flow of wastewater and cause the sewer to back up. Should you detect a foul odour emanating from your drains, tree roots may have infiltrated your sewer pipe system. 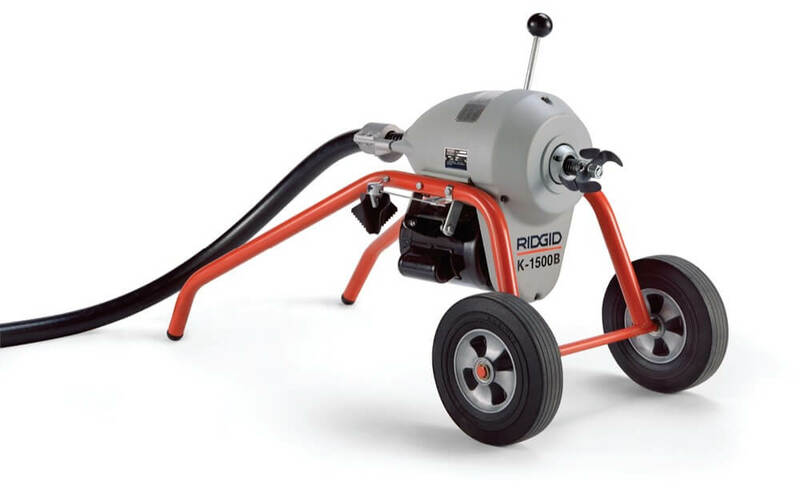 Our Ridgid drain machine is for the toughest of drain clearing jobs. The spring steel rods are fed down the drain and the high speed cutting action literally drills through obstructions in the drain line - perfect for tree roots. Our hydrojetter is great for clearing silt and fat from drains and pushing out objects that block drains. We now also have a new camera, designed to go down drains to establish the cause of blocked drains. We've found a lot of blocked drains recently have been the result of fibre cables being forced into pipes when the fibre has been installed. By sending the drain camera down we can confirm the cause of the blockages with minimal disruption.